Set in a desirable court location behind a manicured garden hedge is a spacious and private modern house appealing to families and investors growing their portfolio. Approaching the property you are welcomed by a quaint paved courtyard with established feature tree before stepping onto the covered verandah. Upon entering the home you are lead from the entrance hall to a spacious open plan living and dining area with internal access to the garage and large glass sliding door leading to the deck with views across the garden. The kitchen with breakfast bar, dishwasher and gas cooking overlooks this zone making it ideal for the growing family. Relax in the second living zone complete with two large windows and sliding door leading onto the covered deck, split system a/c, home entertainment system with projector, speakers, amplifier and powder room with toilet, a perfect area for family movie nights and entertaining. From the covered deck you overlook the landscaped low maintenance yard complete with grass for the kids swings and paved area fit for a family game of basketball or the boat. This home is complete with four bedrooms all with carpet, ceiling fans, BIRs and master suite with ensuite, main bathroom with shower over corner bath, vanity and toilet, laundry with rear access to the yard through the covered pergola. Additional features include remote LUG, gated additional parking and access to rear yard, garden shed, ducted heating & polished floor boards. 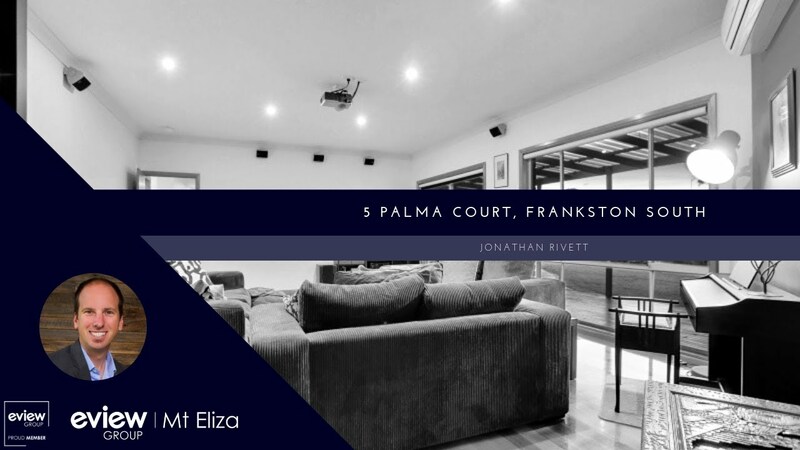 All positioned at the bowl of a quiet, but friendly court with easy access to Peninsula Link, shops, schools, parks, Frankston CBD and more.